Siddle to take the new ball to Bancroft. 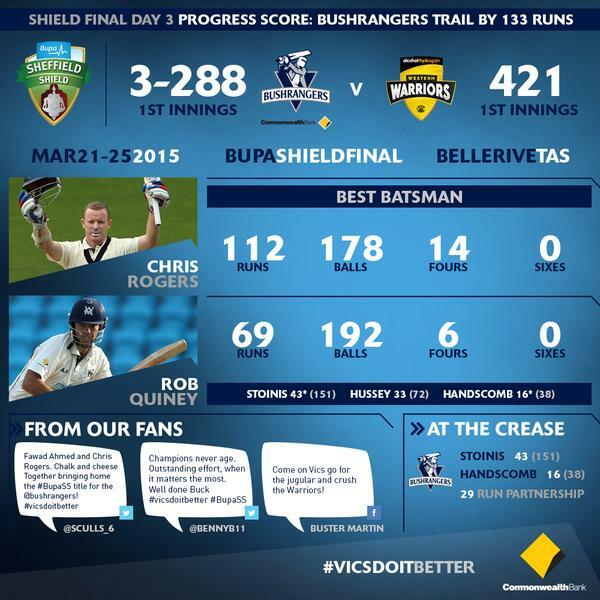 WA lead by 40 runs. 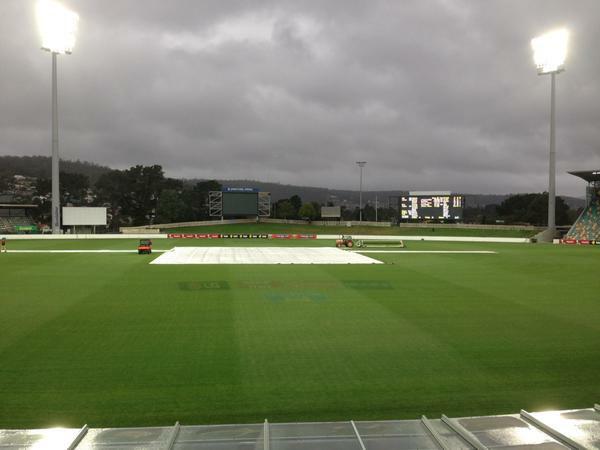 54 overs due today, 104 overs tomorrow. This match ain't over yet! WA lead by 40. GONE! 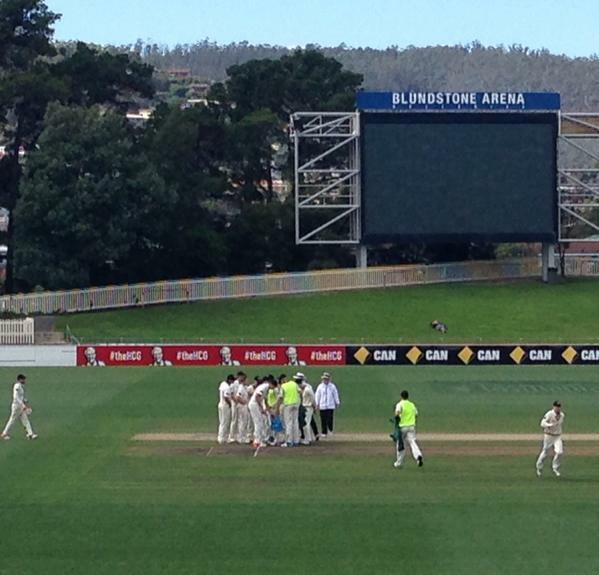 Fawad is bowled by Rimmington for a duck to end the VIC innings on 381. WA lead by 40. Drinks in Hobart with VIC 5-319. 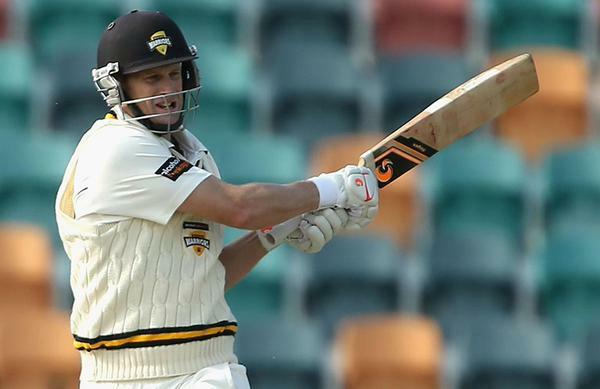 Agar with consecutive wickets, Handscomb 36 not out. 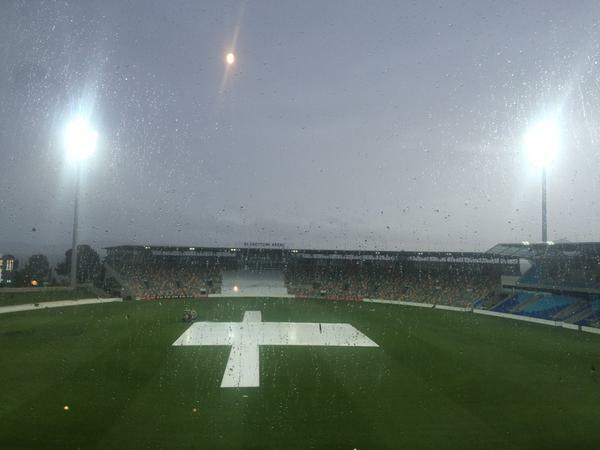 Day three of the #BupaSS final has been abandoned. Play to get underway at 10am AEDT tomorrow.